Agriculture is the main driver of the rural economy in developing countries. Realizing product and service innovations targeted at these agriculture-based markets holds tremendous potential for creating new growth engines for business, as well as achieving social and economic development. While this is a market with huge opportunity, it is also very difficult to navigate. Much of the rules and patterns of behavior are based on informal solutions to irregular and low incomes, semi-literacy, and social and environmental uncertainty. Estimating your market in such an economy is not a likely task. Insights are yet to emerge on the radars of formal market intelligence approaches, like the chamber of commerce, or Google analytics, etc. And, if there’s little else to target specific customers by, than referring to them as a number of 2 billion or so people who grow crops on small pieces of land and rear animals, your business is likely to fail. Needless to say, emerging rural economies require different market estimation approaches. We need to be more creative and develop proxies, which are more sensitive to picking up signals of upward market dynamics. I recently had an idea for such a signal, based on some photo’s I took of water tanks during fieldwork. I still need to validate this thought, but I’ll write it out here, for sake of argument (I’m open to your comments!). A water tank located near your home provides a lot of convenience. You can collect rainwater in substantial volumes that can be accessed from your own premises. Also it could help you eek out your water supply during the dry season. The very common alternative to the water tank, is to walk to the water pump or the lake with a jerry can, for which you often need to cover substantial distances. Water tanks thus create a considerable saving on time and effort dedicated to fetch water. Time that can be freed up for other activities on your farm or on someone else’s farm. 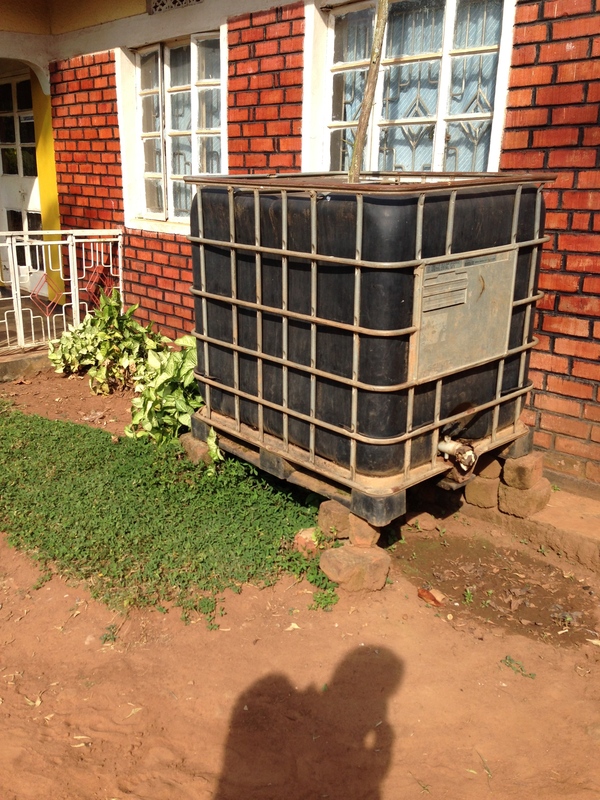 Occasionally you will find a household that has invested in a tank, and my experience is that these are relatively well-off people, because water tanks are a big investment (or an NGO has dropped by with a program…). Could water tanks be a soft signal for upward mobility? 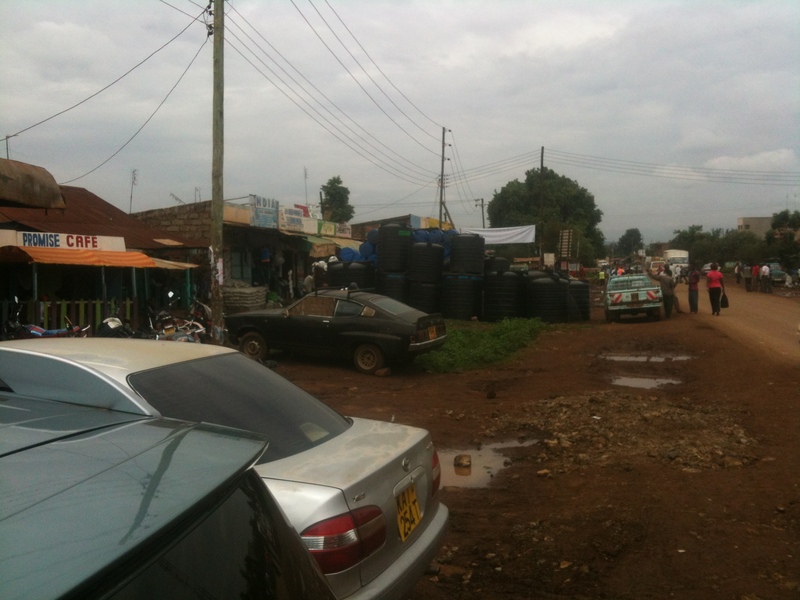 Now correlate this line of thought with a photo I made in Kagio in Kenya below. What would such an inventory of water tanks signal about the overall wealth dynamics of the area around this town? I don’t know whether the water tank story will hold up if I try to validate it. But if it does prove to be relevant, it could be a very interesting indicator. It could help determine great locations for piloting or launching a new product or service for an emerging market segment with purchasing power. I think you could also use remote sensing data to locate such water tank inventory points, as they’re pretty conspicuous. This market sizing indicator might even be brought to scale! The big question is whether it would be worthwhile to invest in digging up more of these insights. If we can create a validated set of such context-rich indicators that can be brought to scale, then we can inform the emergence of new growth pockets in a very resource extensive way. I think it might be worth a shot! Do you? If you want to take a new group of 2 billion non-customers online, then you need to become smart about your targeting methods. It might be easier to infer purchasing potential from a water tank, than through formal survey methods that filter out the demographic that has that extra dollar per day to spend.